Domaine Combier is based on the plateau of La Roche de Glun, its vines located at the foot of the hill of Hermitage. The Combiers came to Pont de l’Isère 1962 and concentrated on growing fruit and apricots. 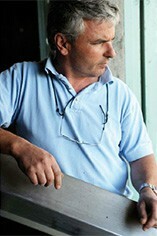 It became clear that some of their land was adjacent to that of a young vigneron by the name of Alain Graillot. The transition to vines has been wholly successful and Laurent’s wines are now considered every bit as good as those of his great friend next door. 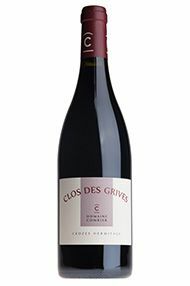 Their top wine Crozes-Hermitage, Les Grives comes from the 1952 plot of the Clos des Grives: ten hectares of almost perfect Syrah. This famous single vineyard fared well in 2013, with less hail experienced than further along the Mercurol plain. Concentration, ripe black fruit and a hint of rigour underwrite typicity and ageing potential with great skill. Drink 2016 to 2020. When he is not piloting himself and Jean- Michel Gerin to their joint venture in Priorat, the amiable Laurent Combier works hard, and with great success, to develop the international profile of Crozes-Hermitage. Experimentation in the winery, where vinification may take place in a variety of vessels, including concrete eggs, allied to a keen sense of the under-appreciated differences in terroir in the appellation, have ensured that his wines maintain their primacy. They are always ripe, fruity and balanced, as achieved in 2013 despite the hail and resulting low yields.